A common misinterpretation of paradigms is the belief that the discovery of paradigm shifts and the dynamic nature of science with its many opportunities for subjective judgments by scientists are a case for relativism: the view that all kinds of belief systems are equal. However, when a scientific paradigm is replaced by a new one, albeit through a complex social process, the new one is always better, not just different. These claims of relativism are, however, tied to another claim: that the language and theories of different paradigms cannot be translated into one another or rationally evaluated against one another—that they are incommensurable. This gave rise to much talk of different peoples and cultures having radically different worldviews or conceptual schemes—so different that whether or not one was better, they could not be understood by one another. However, the philosopher Donald Davidson published a highly regarded essay in 1974, “On the Very Idea of a Conceptual Scheme” (Proceedings and Addresses of the American Philosophical Association) arguing that the notion that any languages or theories could be incommensurable with one another was itself incoherent. If this is correct, Kuhn’s claims must be taken in a weaker sense than they often are. Furthermore, the hold of the Kuhnian analysis on social science has long been tenuous with the wide application of multi-paradigmatic approaches in order to understand complex human behavior. 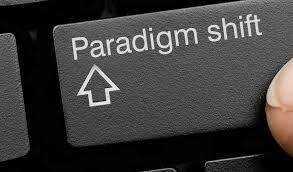 Paradigm shifts tend to be most dramatic in sciences that appear to be stable and mature, as in physics at the end of the 19th century. At that time, physics seemed to be a discipline filling in the last few details of a largely worked-out system. In 1900, Lord Kelvin famously told an assemblage of physicists at the British Association for the Advancement of Science, “There is nothing new to be discovered in physics now. All that remains is more and more precise measurement.”[veracity of this quote challenged in Lord Kelvin article] Five years later, Albert Einstein published his paper on special relativity, which challenged the very simple set of rules laid down by Newtonian mechanics, which had been used to describe force and motion for over two hundred years. In The Structure of Scientific Revolutions, Kuhn wrote, “Successive transition from one paradigm to another via revolution is the usual developmental pattern of mature science.” Kuhn’s idea was itself revolutionary in its time, as it caused a major change in the way that academics talk about science. Thus, it could be argued that it caused or was itself part of a “paradigm shift” in the history and sociology of science. However, Kuhn would not recognise such a paradigm shift. In the social sciences, people can still use earlier ideas to discuss the history of science. Google and Walmart are testing the idea that an enemy’s enemy could be a friend. The two companies said Google would start offering Walmart products to people who shop on Google Express, the company’s online shopping mall. It’s the first time the world’s biggest retailer has made its products available online in the United States outside of its own web presence. Telenor Group – a Norwegian mostly government-owned multinational telecommunications company headquartered near Oslo – is one of the world’s largest mobile telecommunications companies with operations in Scandinavia, Eastern Europe and Asia. It owns extensive broadband and TV distribution operations in four Nordic countries, and a 10-year-old research and business line for Machine-to-Machine technology. Telenor owns networks in 13 countries, and has operations in 29 countries.A product within telecommunications giant Telenor is hoping the technology behind initial coin offerings (ICOs) can help it disrupt the media business model. Central to the Norway-based firm’s exploration of the Blockchain technology is its partnership with startup Hubii, which launched an ICO. 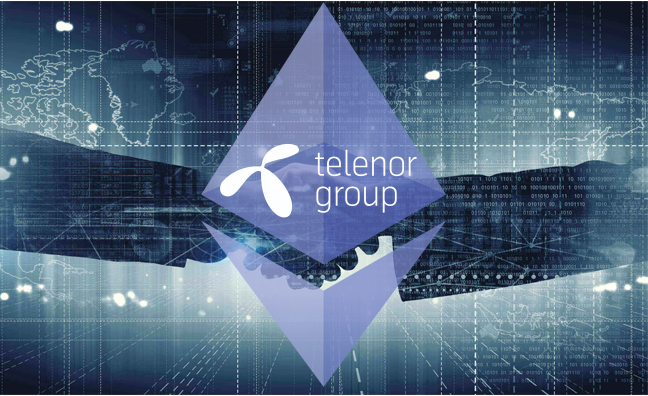 Both companies believe the project will bring benefits by providing a way to create a decentralized, autonomous marketplace of content that can be sold across different platforms, as well as helping Telenor defend against its hacking problem. BitCoin passes $4,000 – On its way to $10,000? If you had invested $250 in Bitcoins on April 11th, 2011, you would have received 260.417 Bitcoins. As of today (August 13, 2017) these 260 coins would be worth more than $1 million. Most of the value increase stems from the quadrupling of the currency since the beginning of the year. The hike is fueled by an ever-increasing number of Initial Coin Offerings with companies (or mostly: ‘projects’) raising more than $100 million often in a matter of hours. Even as US regulators issued strong statements as to the legality of (unregistered) ICOs, there have been no signs of the frenzy slowing down and 25 percent of the recent Bitcoin trades are still being attributed to the United States (although origins could be manipulated, and certainly are being obfuscated to some degree). Apparently most Bitcoin buys were made with Japanese Yen accounted for nearly 46 percent of global trade volume. With most consumers still sitting on the sidelines of cryptocurrency trading, it can be expected that another high is still to come. Category: Search | Comments Off on BitCoin passes $4,000 – On its way to $10,000?